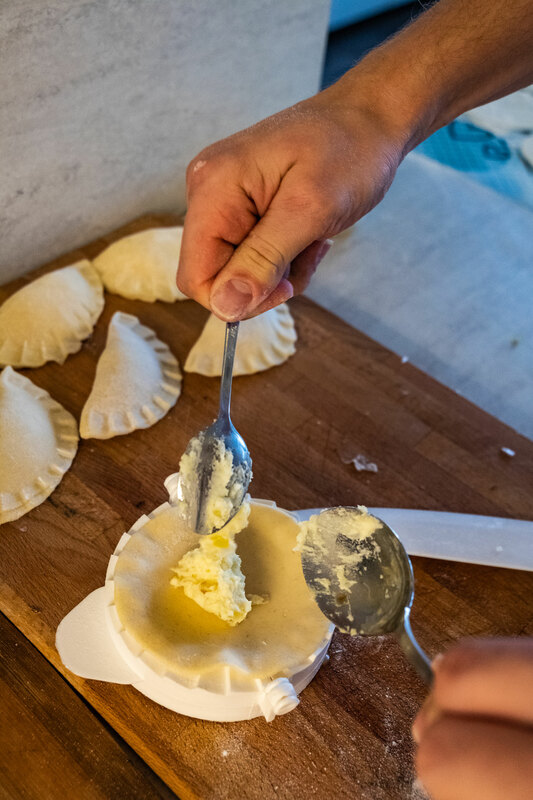 RECIPE: Ricotta & potatoes filled "pirohy"
This recipe is so traditional and yet very international - across Europe. 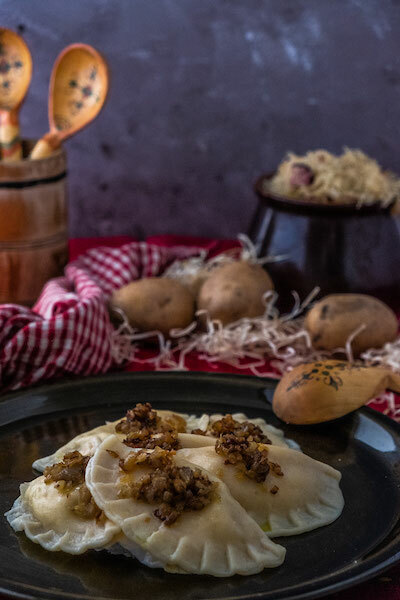 Traditional slovak "pirohy" might be compared to typical italian "ravioli" (or stuffed savoury pie) and the sauerkraut, complementing this dish in my recipe, is very typical, rustic part of the cuisine in Hungary, Czech Republic, Austria and Poland too. Not difficult to prepare, very fulfilling and nutritious meal, is also known for its cheap ingredients. 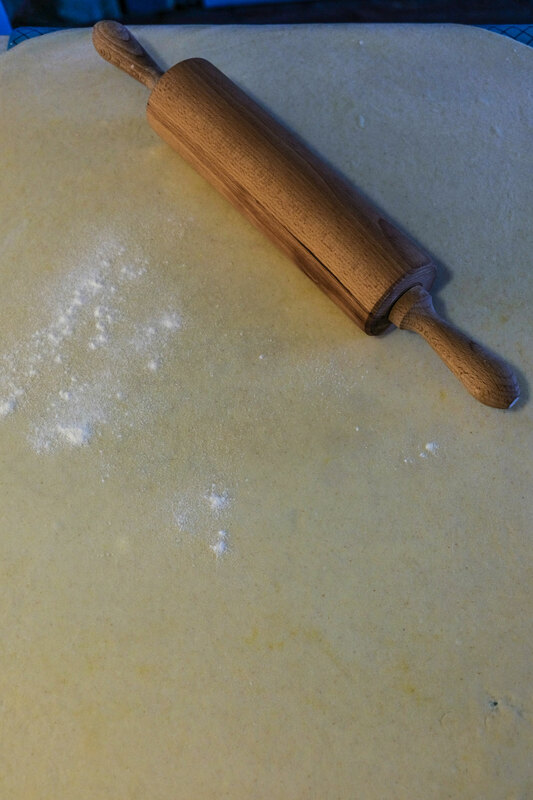 Flour, potatoes, egg, onions and butter. Simple and good!Let's get onto it! First clean the potatoes, cut them into smal chunks and put them in boiling salted water for about 20-25 minutes. To make decorations for pirohy (+part of the filling): Toast all 4 finally chopped onions in a small saucepan and let to crispen up. After cooking your potatoes soft, add the butter, ricotta cheese, ground pepper and half of the toasted onion and mix all well together. Mash the potatoes but just half-way, do not mash them too smooth. Scatter some of the flour on a flat surface, where you will straighten the dough to a thickness of approx. 2mm and cut circles with a diameter of 8cm using a "pirohy" form or a regular cup with diameter of about 8-10cm. Add the potato mixture into the midle of the each of your "pirohy" shaped piece of dough. 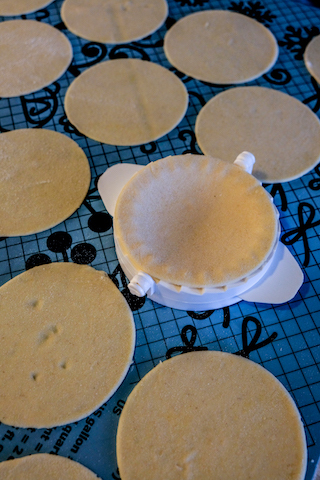 Press the edges of the pirohy well, using the fork to make a typical pirohy pattern. Put pirohy into a salted boiling water and let to cook for 10 minutes. After cooking, serve the pirohy with sauerkraut served with the remaining toasted onion and/or sour cream. To make your soft sauerkraut, dice the bacon into cubes and sweat them for about 10 minutes. Add the sauerkraut, cook for 5 minutes. 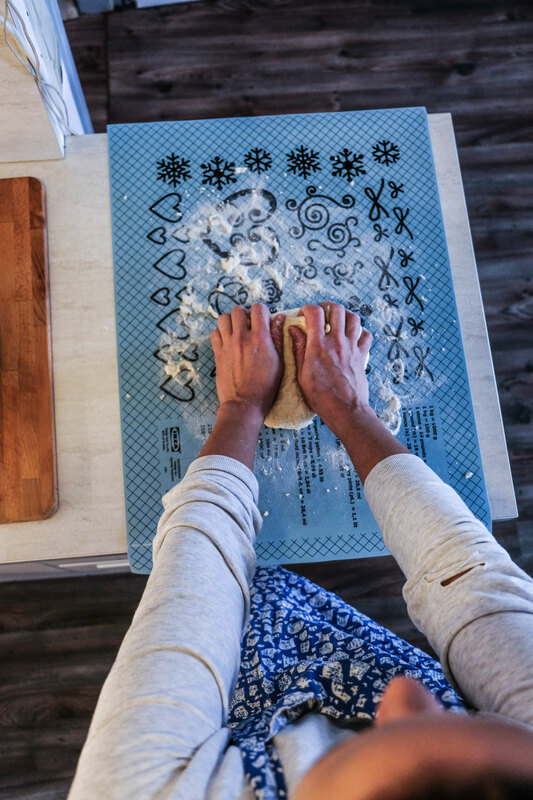 Do not forget to stir to prevent from burning. Pour in the white wine. Let to braise for 10-15 more minutes, stirring occasionaly. After everything is done, plate up pirohy, put sauerkraut on the side and decorate with some crispy onions, optionally complement with sour cream.